The top 8s are in, and the end of season is nigh. Excitement is running very high across the Country as the beginning of the AFL & NRL finals approaches. 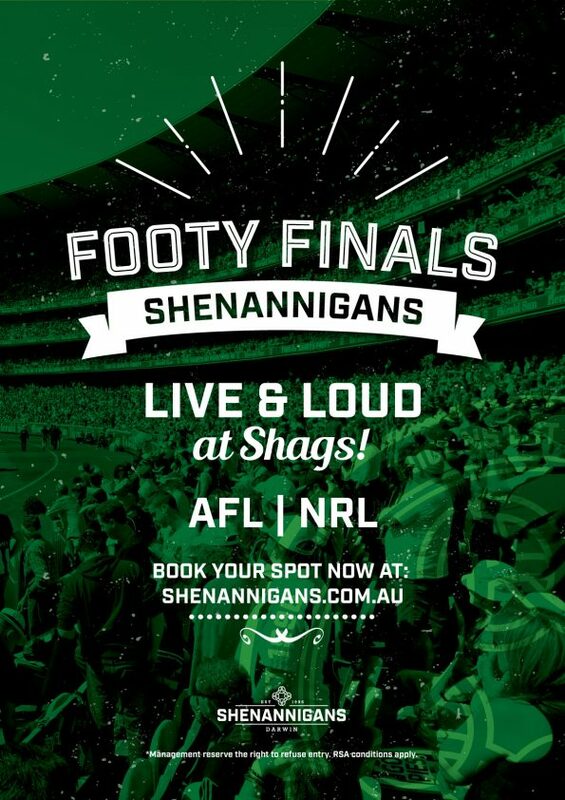 Don’t miss a moment of the action throughout September, we will be playing all the Footy Finals LIVE & LOUD across our screens! Gather your mates & book a spot now!